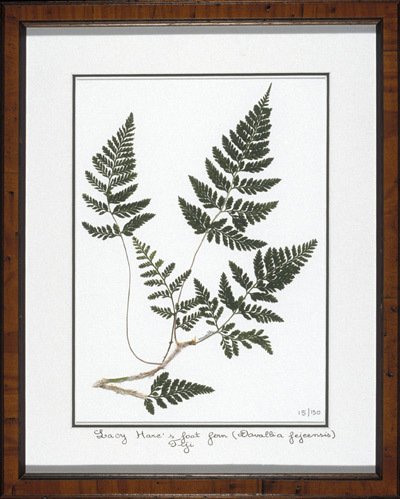 Ferns are available as unframed high-quality, 11x14 giclee prints. 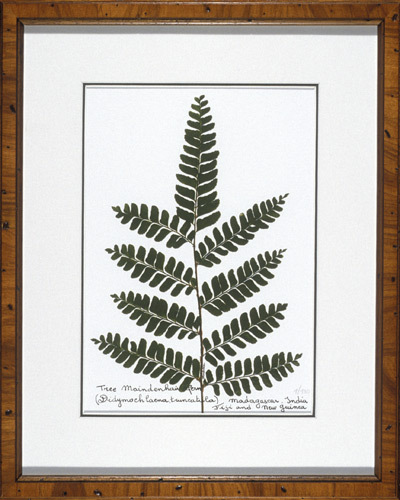 Giclee prints are made from original fern pieces on an ink-jet printer on museum-quality paper. 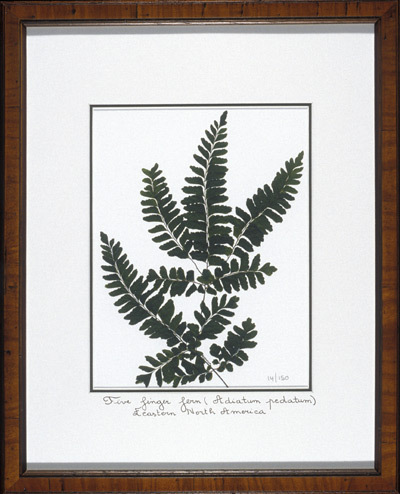 One print costs $60 and two prints costs $100. 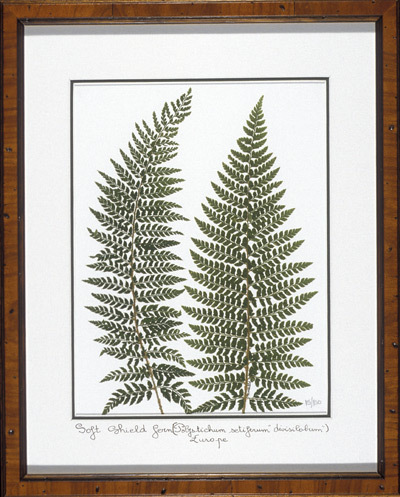 Framed originals are only available in Soft Shield Fern and Fiddlehead Fern pieces.